If you’ve ever wondered if healthy skin and a healthy body are related, wonder no more. According to a recent study, women who have younger looking faces have lower blood pressure and could live longer than those who don’t. A recent study found that women who looked younger typically had lower blood pressure. Researchers from the Leiden University Medical Center in the Netherlands, as well as industry scientists from the company Unilever, observed over 250 women, with an average age of 63 years. They then split the participants into two groups based on whether they had a high or low risk of heart disease. They also assessed the youthfulness of the participants by analyzing facial appearance and evaluating the wrinkles on their inner arms. Women placed in the lowest heart disease risk group looked two years younger than those in the other group, based on photos of their faces. Researchers identified blood pressure as the driving link between cardiovascular risk and perceived age. The feature in the face that blood pressure was linked to was not wrinkles, but what we call “sagging” or “bagging” of the skin. This is the first time that we have found a correlation between low blood pressure and youthful good looks. Researchers also found that participants with an extended life expectancy looked younger with less skin wrinkling compare to another group with the same age. They concluded that life expectancy could be predicted just by observing the aging process of the skin. These damaging effects can impair blood flow to the skin, which can cause your body to age faster. High blood pressure, or hypertension, is also associated with sleep deficiency, stress, high triglyceride levels and increased blood sugar levels—all of which can lead to skin damage and hyperpigmentation. The main takeaway from this study is that making healthy lifestyle chenages may not only make you feel better, but look better, too. We’ve long suspected this to be true, but it’s exciting to have a scientific study confirm it. “It is hoped the results of the study will encourage people to adopt a healthy lifestyle and to regular monitor important health parameters such as blood pressure as the study shows that these factors not only impact health, but can also affect physical appearance,” said Dr. Diana Van-Heemst from Leiden University Medical Center. Test: Get your blood pressure tested at least once a year. Normal is 120/80 or less. Eat healthy: That means more fruits and vegetables and less fatty, sugary foods. Watch your sodium intake, as well. Exercise: Regular exercise helps lower high blood pressure. It also helps you maintain a healthy weight, which is important in managing blood pressure. Lower stress: Yoga, tai chi, meditation, daily walks, journaling, and music therapy can help you manage stress. Learning to relax helps keep your blood pressure in the normal range. Limit alcohol: Drinking too much can raise blood pressure levels. Quit smoking: Tobacco is linked with raising blood pressure to unhealthy levels. Cut back on caffeine: Drinking caffeinated beverages can cause a spike in your blood pressure. So far, scientists aren’t sure if it’s only temporary or lasting. You can test yourself about 30 minutes after drinking a cup of coffee. If your blood pressure increases by 5-10 points, you may need to cut back on caffeine. CoQ10: Some studies have indicated that CoQ10 supplements may help reduce high blood pressure. Try about 100 mg per day. 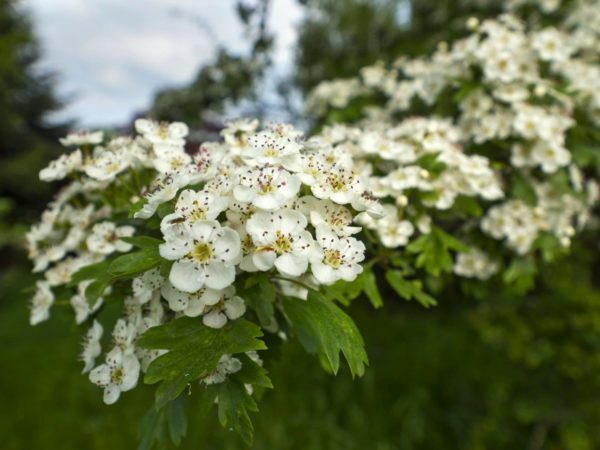 Try herbs & spices: Hawthorn has been found in some studies to help reduce blood pressure, as has cinnamon and garlic. Your holistic practitioner will be able to check out your tests and give you just the right formula. Try vitamins: Calcium, potassium, and magnesium are important in maintaining a healthy blood pressure level. All have been found to help reduce high blood pressure but if you're supplementing, make sure that you're doing it under the guidance of a qualified physician. “Women who have younger looking faces have lower blood pressure and could live longer,” Mail Online, November 6, 2013, http://www.dailymail.co.uk/health/article-2489636/Women-younger-looking-faces-lower-blood-pressure-live-longer.html?ico=health%5Eheadlines. A lot of exercise definitely. Nice post! Thank you so much. Your skin is affected by many factors, including our environment, health, the food we eat. High blood pressure is also a reason which affects skin very badly. for the treatment of this problem, you should concern your doctor. Would love to know more about all studies.